Detroit might be Michigan’s most famous city, but beyond it lies a state packed with potential and virtually untapped by tourists outside the USA. 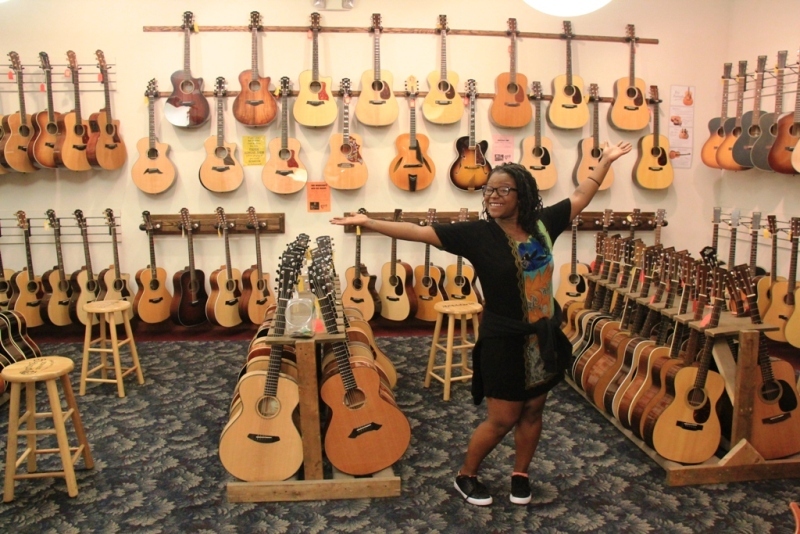 Andy Mossack goes discovering the Michigan beyond Detroit. Michigan is a real surprise. Literally a peninsula of extraordinary beauty, surrounded as it is on three sides by the Great Lakes and 3,200 miles of freshwater shoreline. 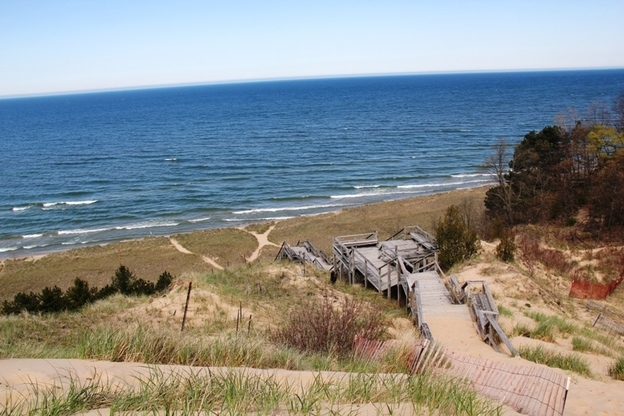 On its west half, Lake Michigan has created vast sand dunes and huge beaches stretching along its entire shoreline. On its eastern half, Lake Huron perhaps lacks Michigan’s artistic beach creating flair, but nevertheless offers up the largest shoreline length of all the Lakes and further south, Erie gives us just a hint of its beauty before running into Ohio. So what does Michigan offer the unsuspecting tourist. A tourist who no doubt has already written off Detroit. 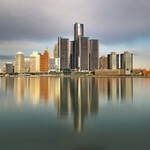 Which would in itself be a crime, because Detroit’s recent renaissance is nothing short of a miracle and you can read all about that in Detroit. The comeback city. Let’s take a relatively short drive across the state from Detroit on the east side to the beaches of the west shore, uncover the Michigan beyond Detroit and perhaps change a perception or two. For any petrol head this is simply a pilgrimage. 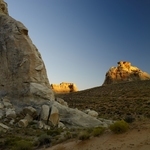 Walking in the footsteps of the pioneers of the motorcar. Henry Ford, Ransom Olds, David Buick, Walter Chrysler, the Dodge Brothers and William Durant to name a few. They were all based in or close to Detroit. 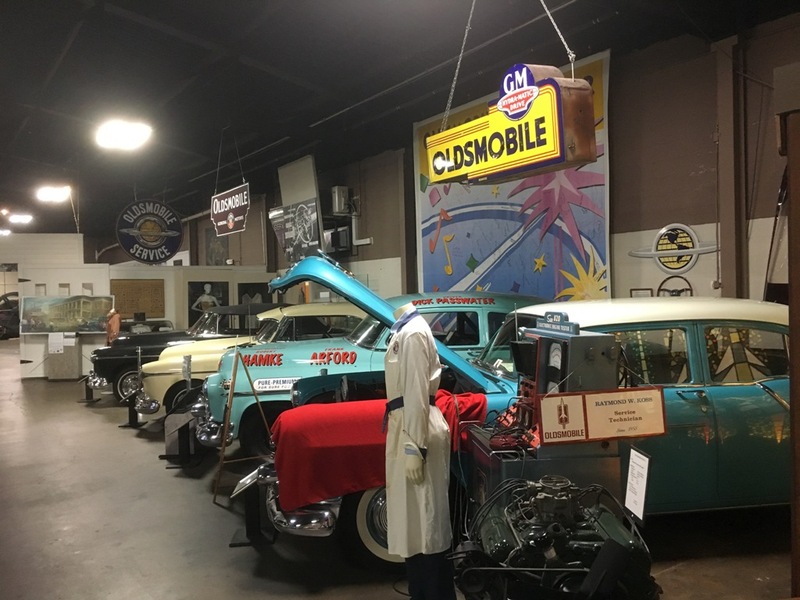 Cities such as Flint, Lansing and Dearborn still have plenty of automobile history to discover. But they also offer something for everyone, not just the motor geeks. Flint was the birthplace of General Motors and its main street was the first American town to have paved roads. The red bricks along Saginaw Street are the clues here. There’s a 100 year old farmer’s market if you want a taste of local life and over at the wooded campus of the Cultural Centre you’ll find eight institutes from the Institute of Arts to the Sloan Museum and Longway Planetarium. 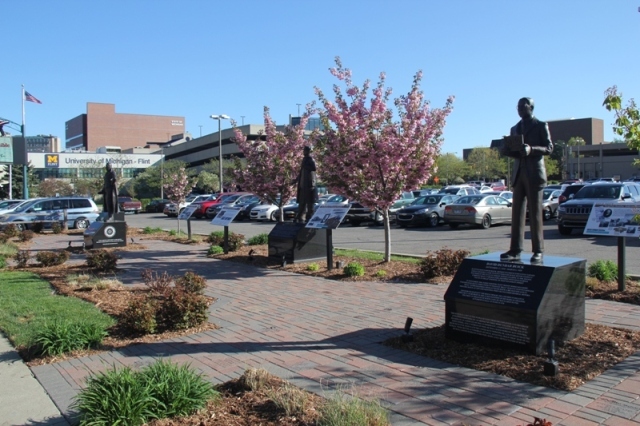 Lansing is the state capital and vies with Ann Arbor as to who has the best university. Tucked away in a quiet corner of town is the Olds Car Museum run by Bill Adcock. A wonderful collection of vintage Oldsmobile’s that have to be seen to be believed, illustrate the life of car magnate Ransom Olds. Dont forget to look out for the Mother in Law’s seat! Lansing’s old town area is full of trendy hipster cafes, restaurants and boutiques, a far cry from its industrial past when it was a no go area. But if you like craft beer, you must try out the Lansing Brewing Company. Revived after a hundred years, this is literally craft beet heaven. Try the beer flights for a multitude of tastes, and the food is pretty good too. The University of Michigan campus dominates Ann Arbor but it is Main Street which is the cultural and foodie hub of the city. 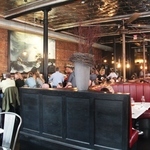 Live music venues, cool cafes and fancy restaurants like The Chop House line both sides of Main. Just outside the city about 15 minutes drive away I visit the Ypsilanti Automotive Heritage Museum and meet up with John Tucker. You may not know the name, but John’s grandfather Preston Tucker was the subject of a Francis Ford Coppola movie and Jeff Bridges played Tucker. Back in 1948 he designed the Tucker 48, a car more advanced than anything ever built. Sadly, the project was mired in scandal and only 51 were ever made. 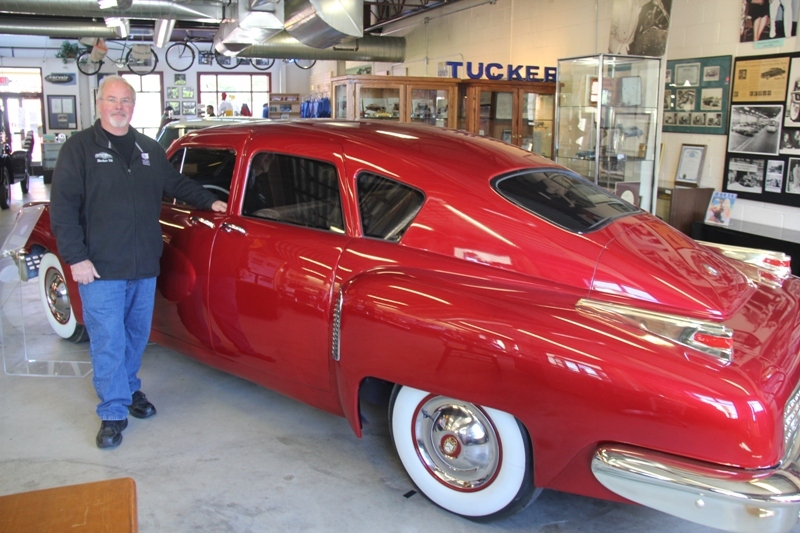 John’s son now hand builds Tucker cars for bespoke orders at $2 million each, so in a way, Preston’s dream lives on. Alisa Crawford is a real live Dutch-Certified miller. Just as well really as she has a genuine 250 year old Dutch windmill, the De Zwaan, to look after. This is a big deal let me tell you, as nearly all certified millers are male. When we meet, she is dressed in traditional Dutch costume replete with clogs. Over on Michigan’s west shore, Holland is simply light years away from the state’s industrial heritage. 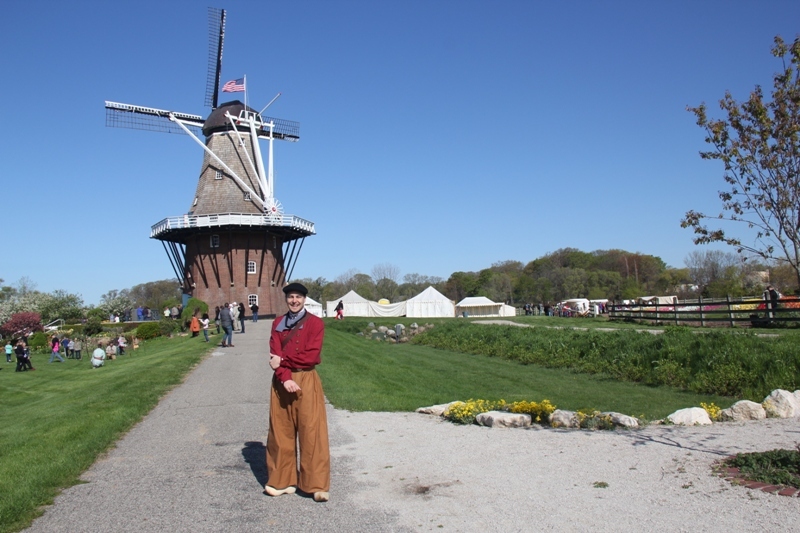 It is a quite lovely resort town on the shore of Lake Michigan where practically everything is authentically Dutch inspired, from its working windmill to the annual tulip festival each May. 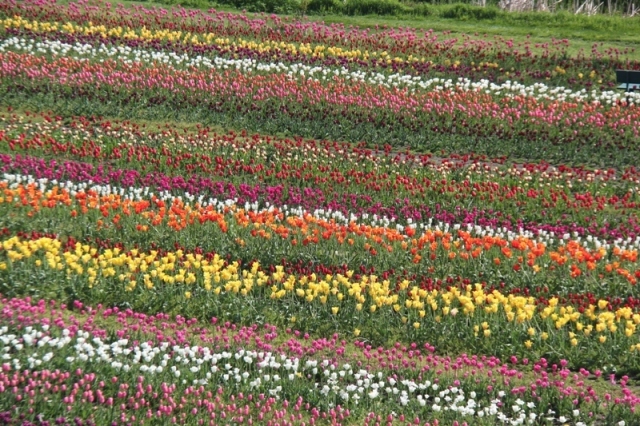 This really is Tulip City with an estimated one million tulips planted each fall in order to literally festoon the town the following spring. Founded by Dutch immigrants in 1847 Holland Michigan has an air of the well to do about it. In part, the result of thriving furniture manufacturers, a famous piano maker and HJ Heinz no less. The lakeside homes are generous in size, the boutique shops and cafes feel sophisticated, and even the sidewalks are heated in winter to keep them snow and ice free. The jewel in Holland is Windmill Island Gardens, home to the 164 ft De Zwaan windmill, still grinding flour for the island’s gift shop. Matt is an island guide also wearing traditional clothes and clogs of course and he is (here’s a shock) of Dutch descent. 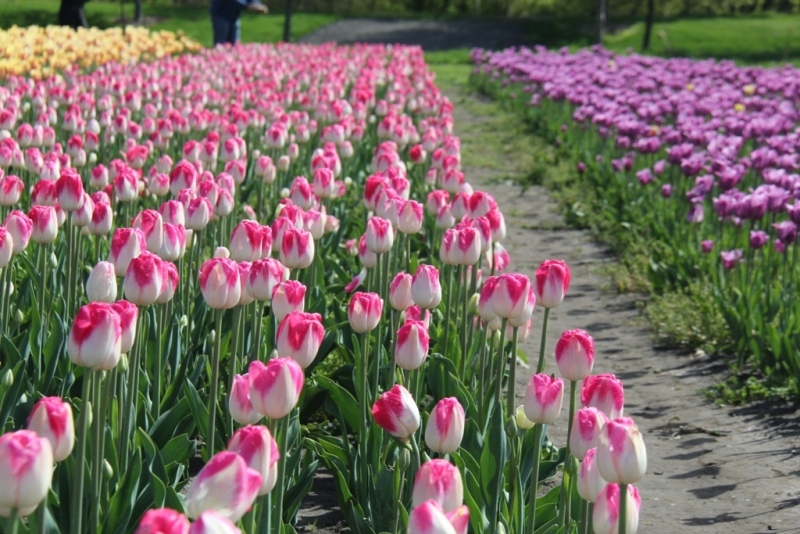 It is the first day of the Tulip Festival and I can see nothing but a sea of tulips stretching for forever. We walk to a vintage street organ donated to the island by the city of Amsterdam and I joke “Does it play any Bon Jovi then?” Matt doesn’t miss a beat. “Sorry, no, but I do have a Beach Boys medley here.” and proceeds to feed the music cards into the organ. 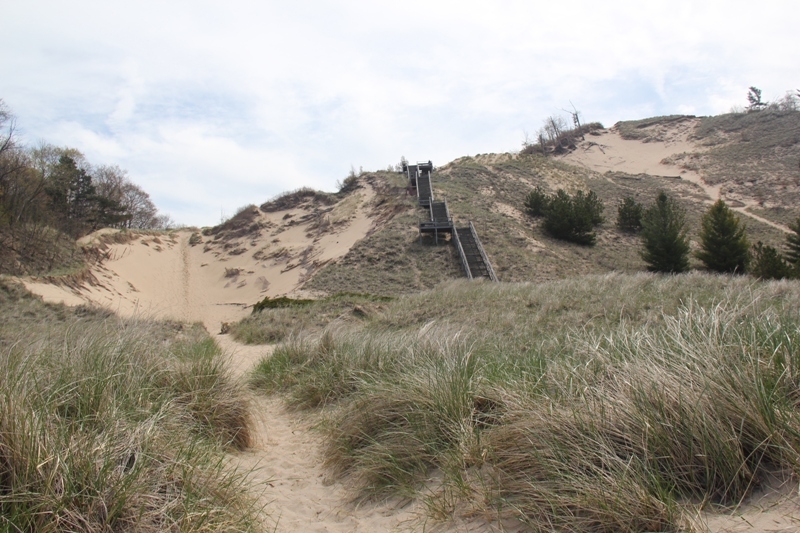 In no time I’m hearing Sloop John B.
I hike up the 230 steps of Mount Pisgah sand dune to get stunning views across Lakes Michigan and Macatawa. “Is it possible to see Chicago?” I ask a local who clearly feels I am demented and moves as far away from me as possible. After a less gentle scramble up a few shoreline sand dunes I grab a delicious lunch at De Boers Bakery before heading back to Detroit. 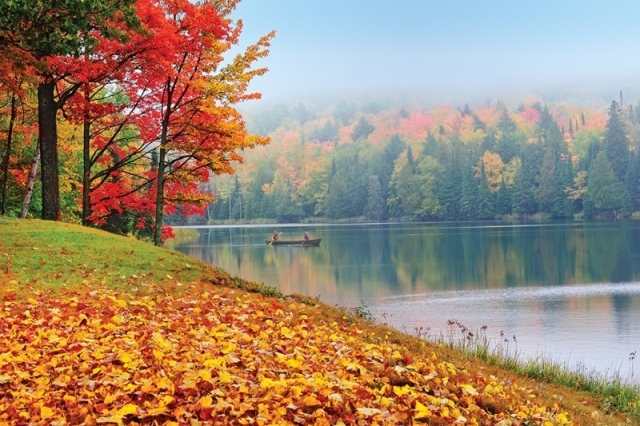 Michigan away from the winter months, is quite the spectacle, particularly along its dramatic lake shorelines. And for any car enthusiast, touring the cities that pioneered the modern motorcar is spine tingling stuff. From Detroit’s music, car and art deco heritage to the wild beaches of Holland, this is a state that may be off the tourist treadmill, but the rewards are far greater believe me. Tell me more about the Michigan beyond Detroit.